Recently I had the pleasure of joining Tu Historia and some of the Andalucia Travel Bloggers on a three-town trip and what a time we had! Here's an overview of our two-day, one night itinerary. 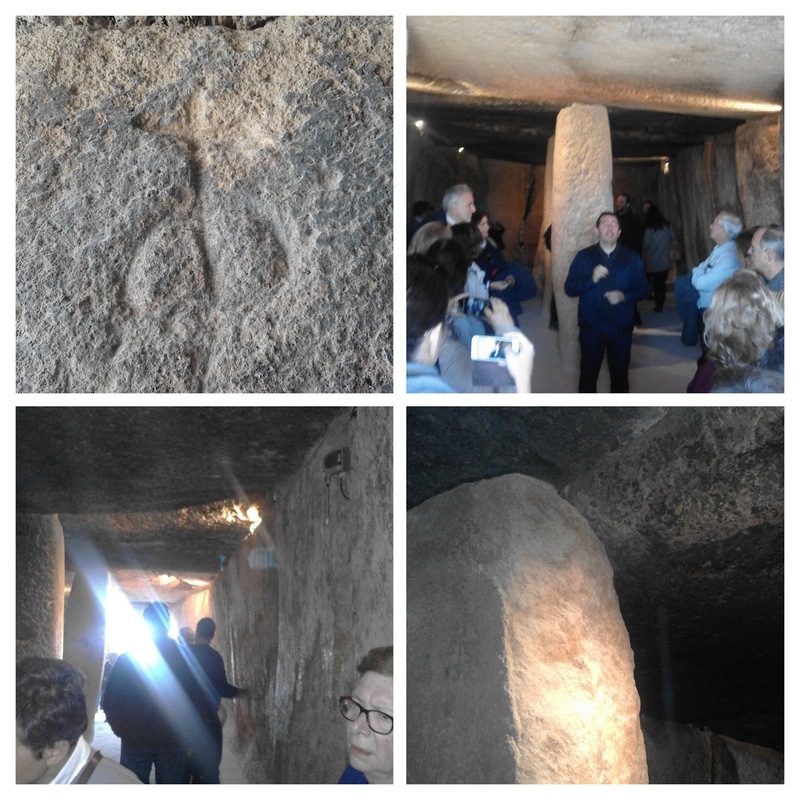 We arrived at the dolmens in Antequera to find an explosion of visitors since being incorporated as a UNESCO world heritage site as one of the most highly valued prehistoric sites in Andalucia. It was Saturday morning, the sun was shining and the queues were huge. The three dolmens at the site we visited - Menga and the Viera Dolmens, a further dolmen, El Romeral, is slightly separate and two natural monuments La Pena de los Enamorados and El Torcal form part of the Antequera Dolmens Site. The dolmens were almost covered so as to appear natural and their planning and building with large stone blocks to form the chambers made the imagination run riot on how the huge stones were moved. 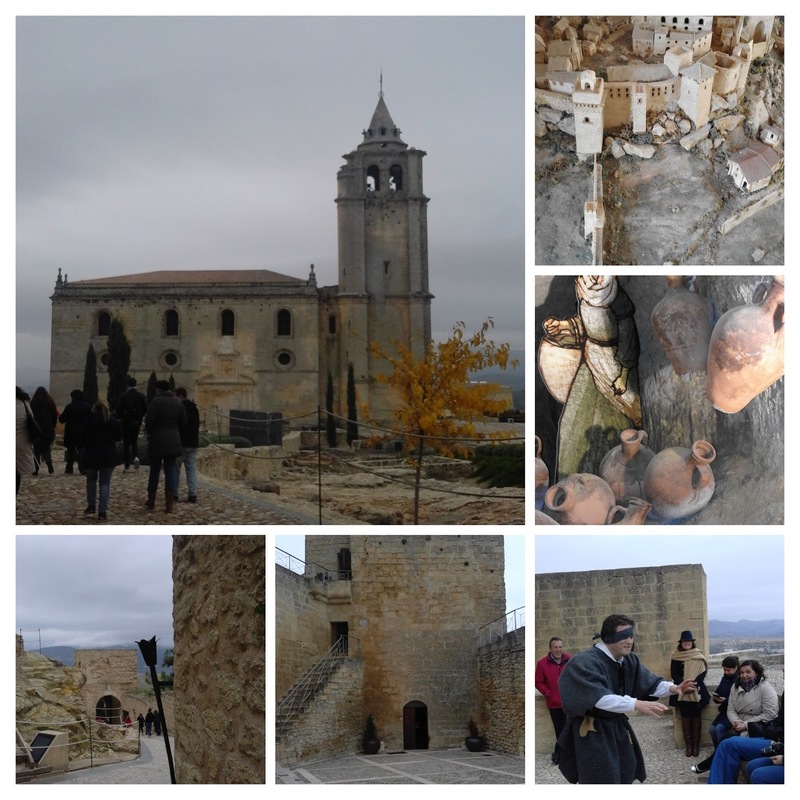 From the dolmens we headed to the higher part of Antequera town and through the 'Giant's Gate' to the huge plaza and the fortress - the Alcazaba and the church - Colegiata de Santa Maria. Antequera was a strategic inland spot only 47km from the Costa del Sol which attacking forces needed to conquer in order to advance inland. Visigoths, Romans, Moors and Christians trod these lands leaving behind a wealth of fabulous buildings and a bloody history. The town itself looks very inviting but we were hungry and the restaurant was waiting our arrival. 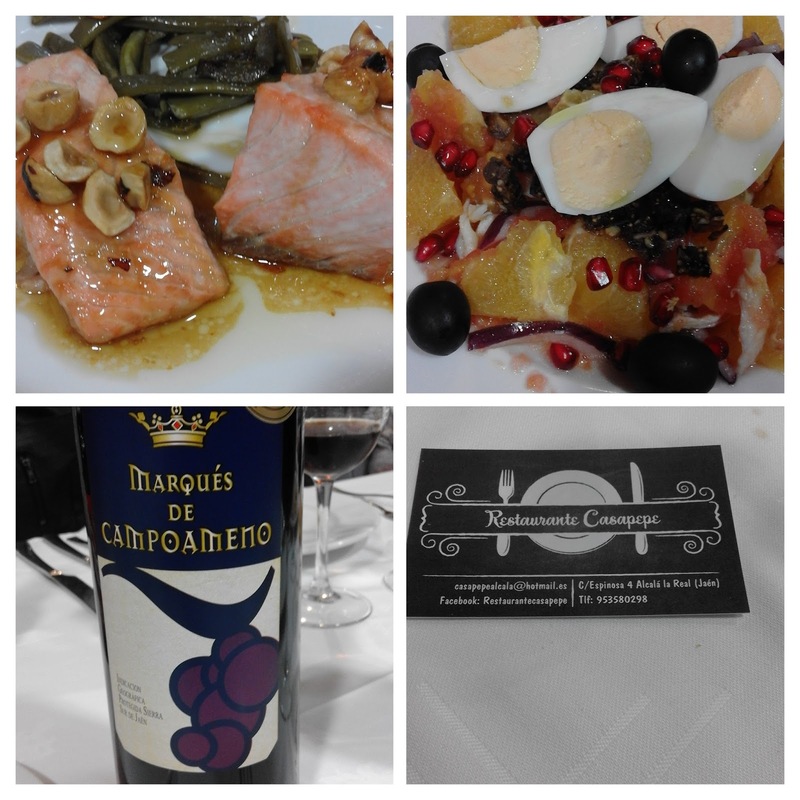 If you're in Antequera then I thoroughly recommend Restaurante Leila. Next we were whisked away to Lucena, a town I bypass every trip to Malaga, which I'd never really explored and as usual on a blogtrip we see the main sights and sites but have no time for pottering - I will go back for that. Lucena, I was surprised to hear, has a castle and I didn't know because it's invisible. Most castles in Spain you can spot a mile off, not this one! 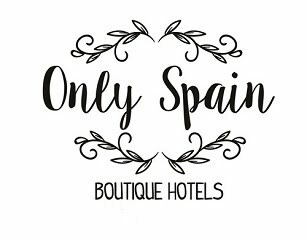 It is situated in the heart of the town surrounded by shops, bars, churches etc. In the evening we visited a wonderful restored wine cellar and museum that offers wine tastings which must be pre-booked. 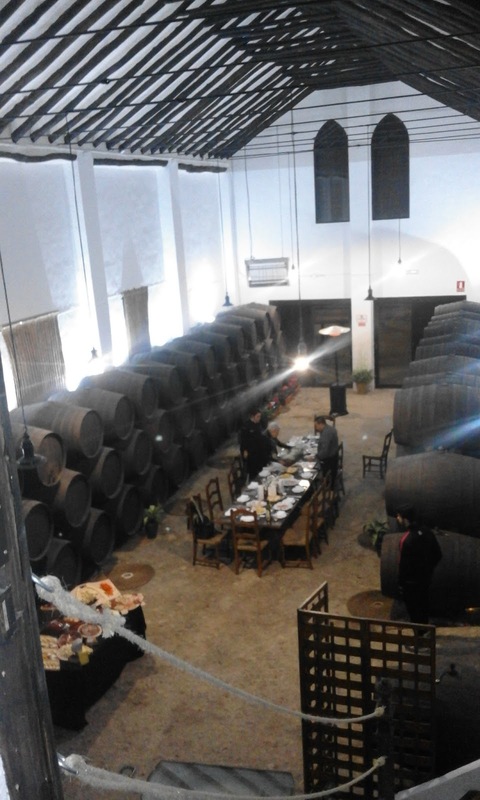 The building which had undergone various uses including an olive oil mill has been carefully converted into its original glory and hosts many original tools and implements from its various uses over the years. 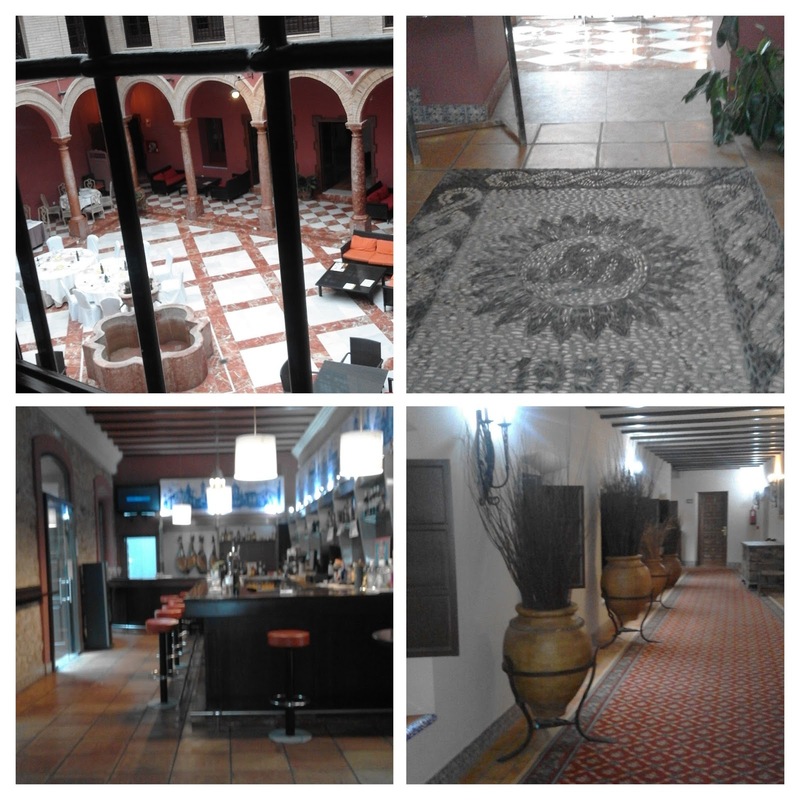 Our stay, which was very little time at the hotel, was Hotel Santo Domingo in the heart of Lucena, once a convent now a lovely 4* hotel complete with cloister in the centre of Lucena. The following morning it was back on the bus to Alcala la Real and Fortaleza de La Mota, a huge fortress and once important and strategic stronghold between the Mezquita in Cordoba and The Alahmbra in Granada and in the hands of the Moors until it fell to the Catholic Kings but its history goes back much further than that. With double walls, towers and secret tunnels it's a great visit and one I'd repeat preferably on a warmer blue sky day! 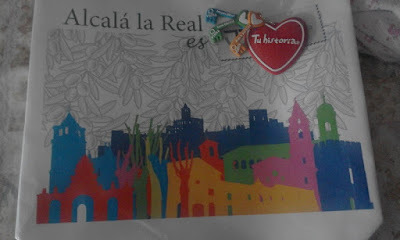 ..... headed off for more wine and a gastronomic lunch at Restaurante Casa Pepe in Alcala la Real. We had a fun-packed, busy two days packed with experiences, information, history lessons, sights and sites not seen before, this overview will be explanded into more detailed posts. I'd happily and will probably go back to each again at some point next time a little more leisurely. 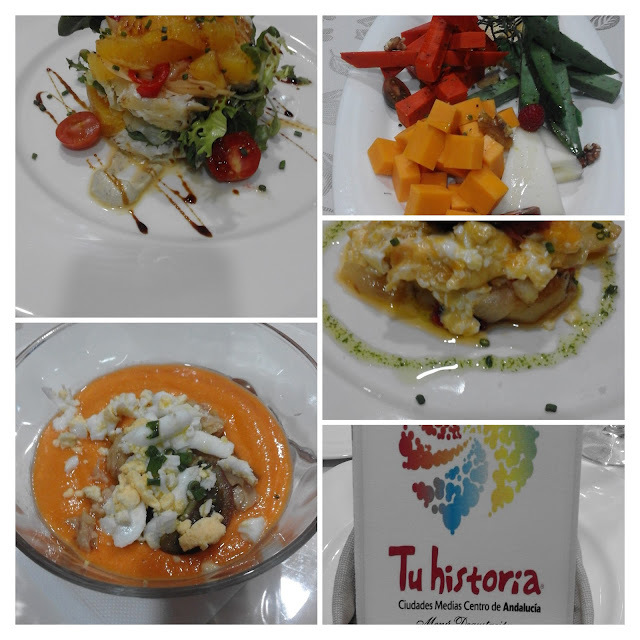 Our host for the visit was Tu historia, who bring monuments to life using all the senses providing experiences not just destinations. You can buy 'keys' to the cities which at the moment consist of three - Antequera, Lucena y Alcalá La Real. The 'keys' pass enables you to save money on the entrance fees and go as often as you like within 2 years, you can visit the monuments Fortaleza de la Mota and Palacio Albacial in Alcala la Real, Castillo del Moral & its Museum in Lucena and the Acazaba fortress and Real Colegiata church in Antequera with the pass or you can pay indvidually at each monument.